2000 original advance movie poster from the film ' Charlies Angels ' starring Cameron Diaz, Lucy Liu and Drew Barrymore. 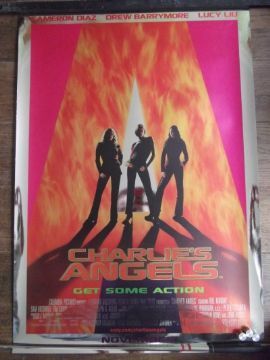 This Mylar poster is in Fine- condition and measures 27" x 40". Apologies for the poor picture, the borders are in great condition. This is just the light reflecting from the camera.